If you are a blogger or regular publisher, email marketing is a good way to drive traffic and conversions. Many newsletters are built out of blog posts – or at least have several of them in there. So primarily the RSS feature is a big time saver. Most of us might not want to send out a new email with every new blogpost, so the email marketing system includes the option to schedule RSS campaigns and create an email digest with the latest news, updates and posts. 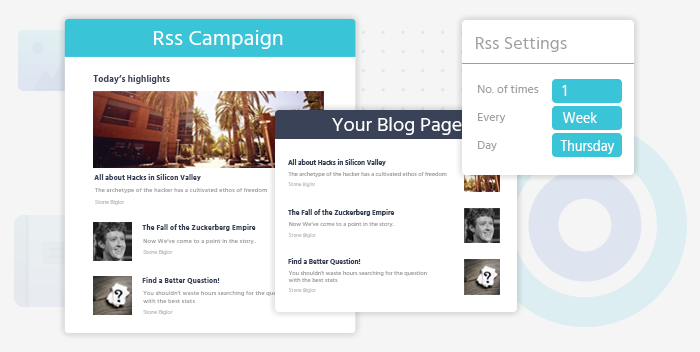 With the RSS scheduler, brands, bloggers and publishers can send on their own frequency. Say a weekly or monthly email with a roundup / email digest. •	Any type of platform that has an RSS feed, really. The RSS based content automatically detects title, images, content and links. You can do a single email campaign based on that – or use the email editor RSS block / container and inject the latest posts into your template. 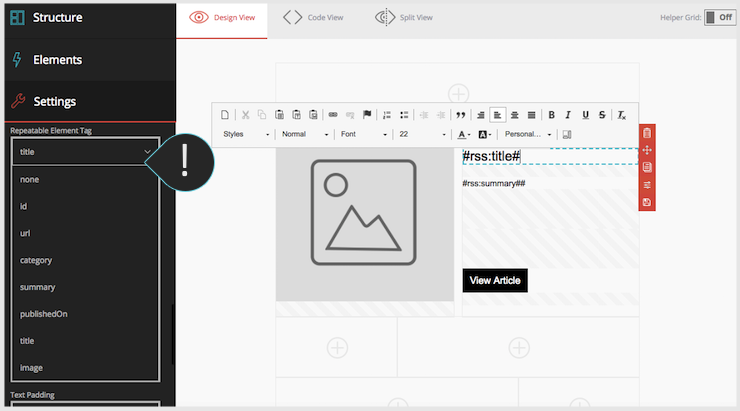 Users can style the newsletter template, to fit their branding. When adding the RSS block, dynamic elements show up that are all customizable. They behave like any piece in the drag and drop responsive email editor. Similarly to the RSS feature, senders can also point to a campaign which is not RSS based, but rather a webpage. This can be handy for brands that publish their campaigns to web publically. Or if you find it easier to push the content to Moosend in that way instead of manually loading it into the Email marketing system. The Repeatables feature, as they call it, picks up the content after pointing to the web url of the campaign and setting a publishing schedule. The RSS-to-email feature in Moosend is already available for all existing and new users. The feature is part of the main platform and at no extra costs. Moosend starts at a free 3-month trial that has unlimited sends and campaigns up to 5K unique subscribers.